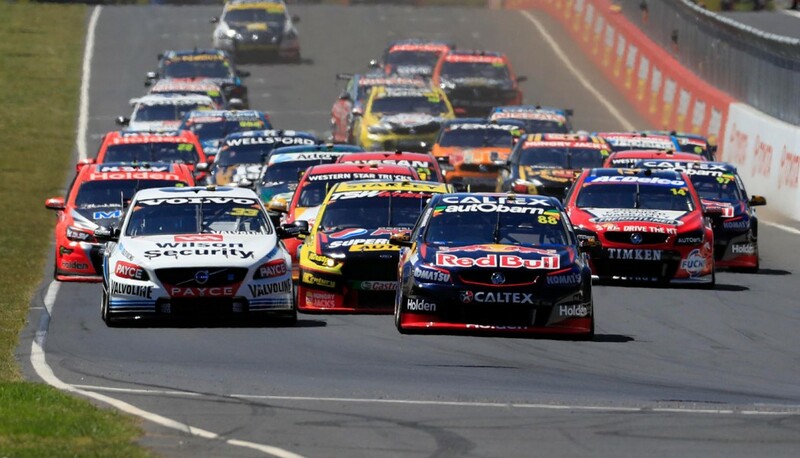 The primary requirement for a fast car at Bathurst is one that carries plenty of speed up and down Mount Panorama’s long straights. Almost 50 percent of the lap is spent in a straight line and, with passing opportunities non-existent across the top of the hill, speed on the Mountain and Conrod Straights is key for overtaking. Having a car with strong high-speed balance is also important in order to give drivers confidence through the undulating, blind bends across the top. The track itself offers high grip, so tuning for balance is the goal for drivers and their engineers. Track grip tends to evolve significantly over the weekend, including during the race, and tuning the car to be fast and balanced late on Sunday is ultimately the aim of the game. As well as the onboard anti-rollbar adjusters, teams can tune their cars in the pitstops with tyre pressure and ride height changes to keep up with the evolution of the track. While the grip level is high, tyre wear is mild, with 0.02-0.03 seconds per lap of degradation recorded last year on the 2016 rubber, which has been pressed back into service this weekend. Even with the more robust 2016 Dunlops, camber remains a risk versus reward equation, with teams still risking blowouts if they run too much chasing corner speed. 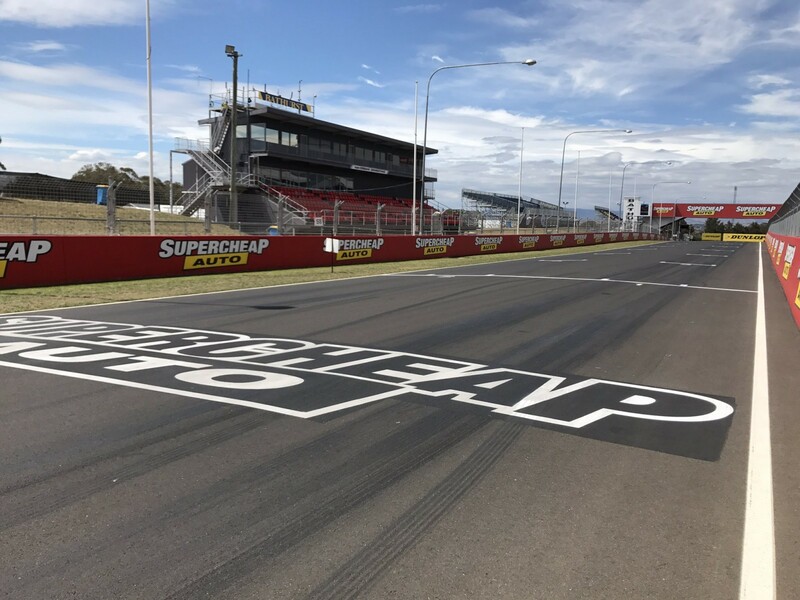 Bathurst is also moderate in terms of bump rating, with the entry to the Chase traditionally the bumpiest section, testing braking stability as the cars slow from 300km/h to 110km/h. Brake wear is low, but the cooling effect of the long straights creates a large thermal shock that needs to be managed. All cars are on a new control brake rotor this year after Mark Winterbottom suffered a failure that put him out of the race 12 months ago. Running blanking over the front brake ducts helps keep temperature in the brakes on the straights, as well as improving aero efficiency and ultimately straightline speed. The length of the race still means cars will require a pad change at some stage to ensure they have optimal performance for the sprint at the end. As has been the case in recent years, Sunday’s race includes seven compulsory pitstops, in which at least two tyres and a splash of fuel must be taken onboard. The allocation of 36 new tyres for the weekend means that almost every stint can be run with a complete set of greens, even after green-tyre runs in qualifying. Teams have no shortage of opportunity to refine their cars on fresh rubber during practice, with 16 new tyres allocated due to the lack of pre-marked 2016 rubber. Double-stacking in the pits is almost inevitable due to the length of the race and the chances of Safety Car interventions, making track position important all day. Last year’s race ran without interruption until lap 90, but ended with a total of six Safety Cars. The average over the last 10 years is 6.3 per race. With cars able to run as many as 24 laps on each tank of fuel, the seven-stop requirement creates a lot of flexibility in the fuel windows throughout the day. Strategy at Bathurst is essentially about ensuring the primary driver is in the car at the right moments and reacting to the Safety Car periods as they fall. A strong co-driver increases the flexibility and, while they are only required to run 54 laps, some may do as much as 50 percent of the distance to keep the primary driver fresh. Last year, many of the top primary drivers started the race to ensure they held track position, resisting the temptation to get co-driver laps out of the way early. Regardless of who starts, teams will fine-tune strategies on the run with the aim of minimising stationary time at the final stop. Having fuel-in-hand over opponents heading into the last stop can prove a critical trump card, gaining track position ahead of the run to the flag.